Allergies are a common condition and can present in various ways. The most common condition is allergic rhinitis, or hay fever, which can affect up to 30% of the population. Allergic conjunctivitis affects at least 50% of people with allergic rhinitis, and allergic asthma affects at least 8% of children. Atopic dermatitis, also known as childhood eczema, is often how allergies first occur in young children. Venom allergy, in terms of being allergic to bees, wasps, hornets, yellow jackets and fire ants, can be a common allergy, especially in some parts of the Southeastern United States where the imported fire ant lives. So, what do all of these conditions share in common? They can all be successfully treated with the use of allergen immunotherapy. Allergen immunotherapy is a method in which a person is given the substance to which they are allergic, resulting in hyposensitization, leading to a reduction or elimination of allergy symptoms. The allergen, or substance causing the allergy, is given in increasing amounts to a person either as an injection under the skin or as a drop or tablet under the tongue. This process results in the immune system changing how the body responds to the allergen; the end result being fewer allergy symptoms, the need for fewer allergy medications, and potentially a complete cure with the resolution of symptoms. Compared to allergy medicines, which act to simply “cover up” symptoms, immunotherapy is the only treatment that changes the immune response. 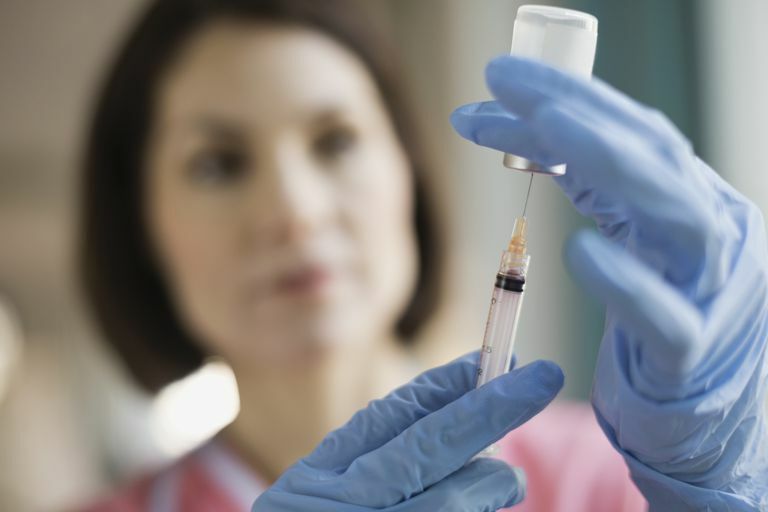 Allergy shots are the traditional way that immunotherapy is given. Injections are given under the skin, initially on a once or twice a week basis for many months, then less often over time. Dosages are initially very small – because by design a person is allergic to the injections – but then are slowly increased over time until a final or maintenance dose is reached. At that point, injections are given less often – once or twice a month – for at least 3 to 5 years, after which time the injections are stopped but the benefits of the shots continue for 7 to 10 years, depending on the person. If shots are stopped before 3 years, symptoms tend to recur in 1 to 2 years. Allergy shots are very safe therapies, with no long-term side effects. However, because a person is being given what they are allergic to, there is a small chance for a whole-body allergic reaction called anaphylaxis. Anaphylaxis from allergy shots is typically quite mild and easily treated with injected epinephrine, but has the potential to be severe and life threatening. For these reasons, allergy shots must be given in a doctor’s office with a person being monitored for at least 30 minutes after each and every injection. Allergy shots can be taken faster as in rush or cluster immunotherapy. Considerations for young children, pregnant women and elderly people receiving allergy shots. Atopic dermatitis was added as an indication for allergy shots in 2011. How allergy shots for venom allergy are different. Sublingual immunotherapy has been used for many years around the world, although this type of immunotherapy is fairly new to the United States. The concept of sublingual immunotherapy is very much the same as for allergy shots, with a few important exceptions. First, sublingual immunotherapy is given under the tongue, in most cases on a daily basis for 3 to 5 years. Second, sublingual immunotherapy is safe enough to be taken at home. There is only a very small chance for ​an allergic reaction as a result of taking sublingual immunotherapy, and even when this does occur symptoms are usually mild and not dangerous. Most experts suggest that a person taking sublingual immunotherapy have injectable epinephrine available at home, however. Many, but not all, allergists in the United States offer allergy drops because they are not currently approved by the Food and Drug Administration (FDA). However, as of January 2016, there are 3 tablets (2 different grass tablets and a ragweed tablet) that are approved as sublingual immunotherapy by the FDA, and there are likely to be a few more on the way (probably cat dander and dust mite). Learn the latest information on the use of oral and sublingual immunotherapy for food allergy. Consider which therapy is best for you: Allergy shots or allergy drops.